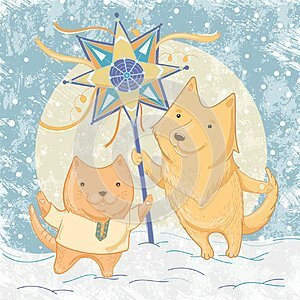 Vector illustration of Christmas carols with dog and cat. Illustration of friendship and winter fun, festivities. Template for greeting card.